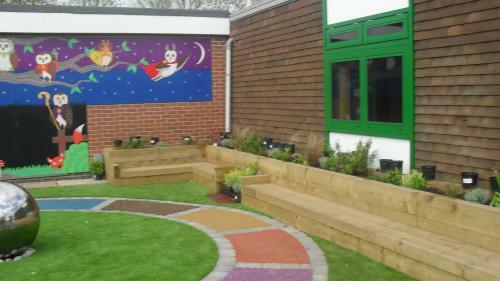 Last year the area outside Year One's classroom was looking tired and overgrown with plants so we decided to build a sensory garden. 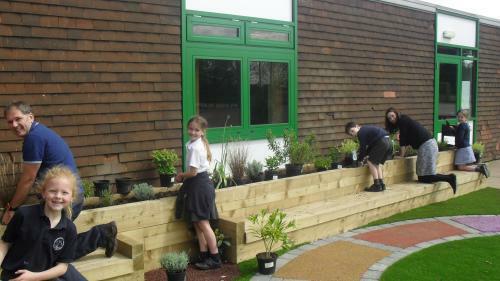 All the children were involved in the planning and then many of them, with the help of their parents, cleared and prepped the site. 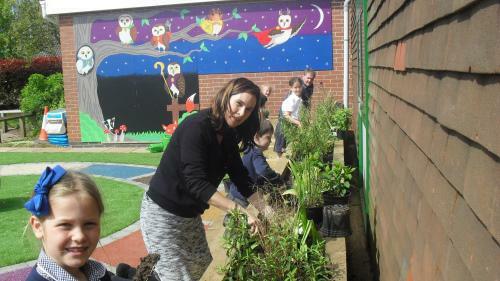 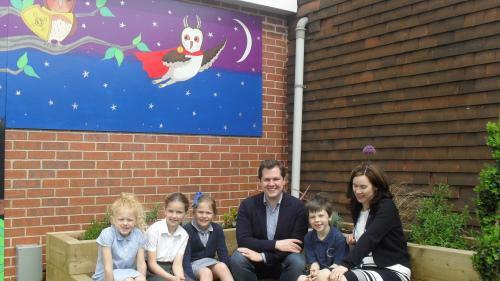 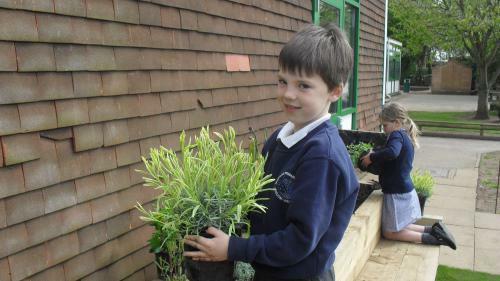 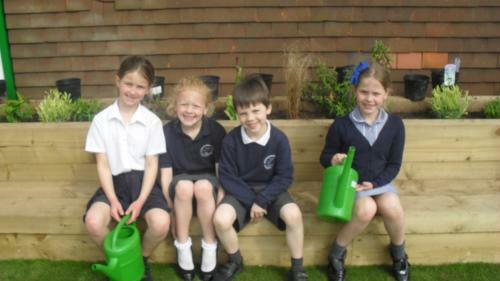 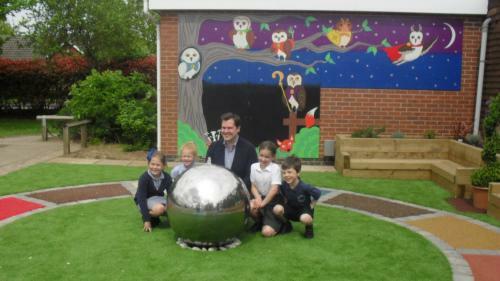 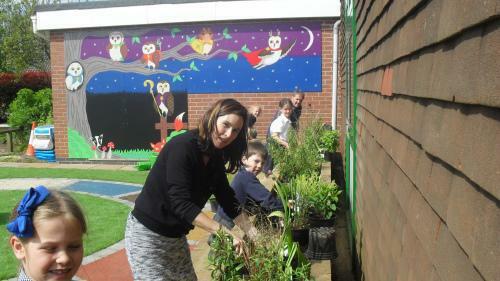 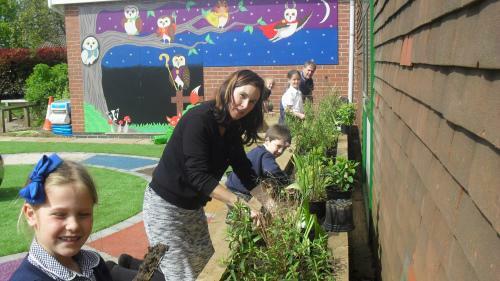 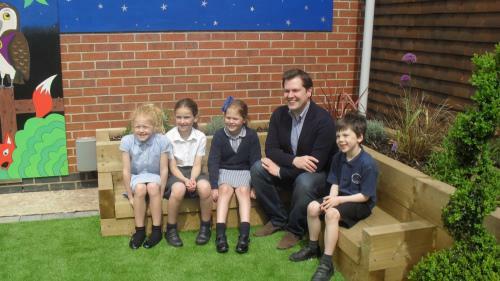 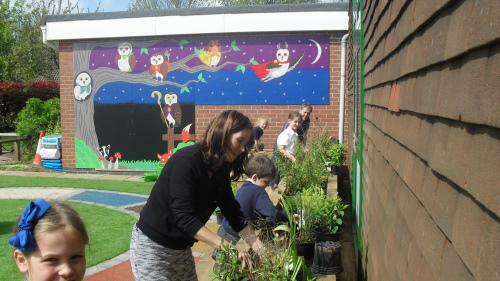 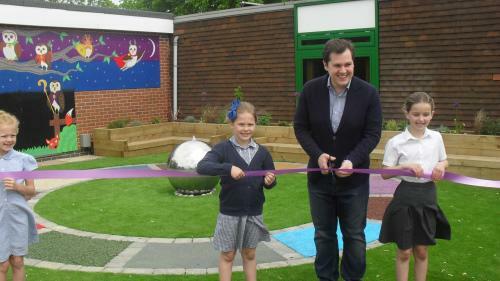 Alongside this, the whole school entered a local art competition held by Frosts Nurseries. 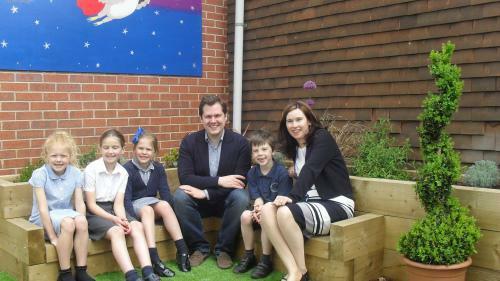 Olivia Brightmore, in Year 3, won the competition winning £500 worth of plants for the school and an Easter egg: both were presented to her by Mr Robert Jenrick. 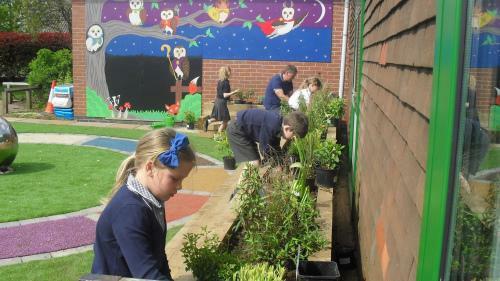 Using this money and funds raised through school events, we built our garden. 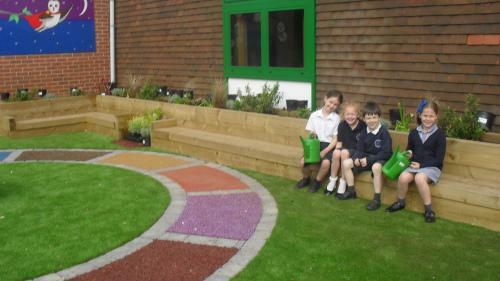 Mr Shorrock, Mr Allan, Mr Pickering, Mrs Hill and Mr Ford were key to its success, donating their time and resources to help us to build the best garden possible. 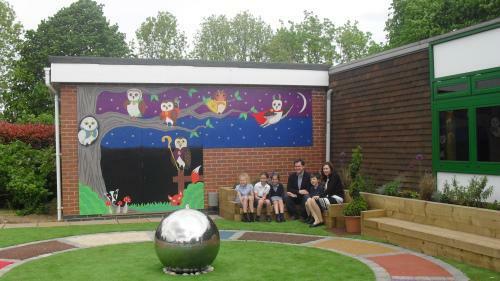 The mural incorporates the aptitudes that we encourage in our school vision through the ‘Enablers’ which are six SuperOwls: they represent Independence, Optimism, Creativity, Perseverance, Empathy and Questioning. 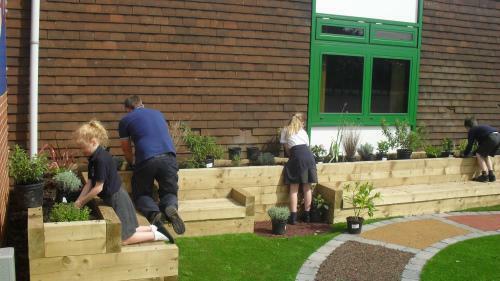 We hope you enjoy sitting in our peaceful and inspiring area which has captivated all our interests. 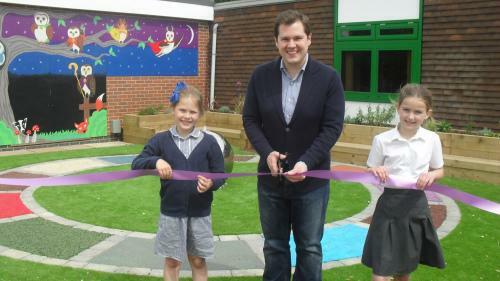 Mr Robert Jenrick certainly did, when he officially opened the garden. 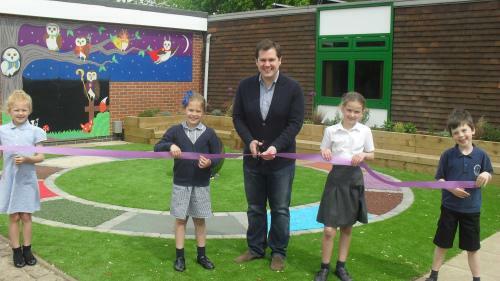 Thank you to the whole school community for working so hard on this project.